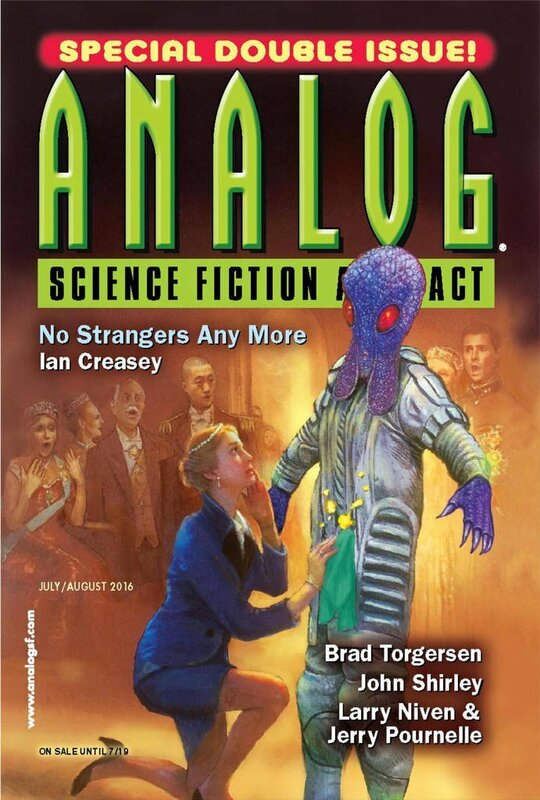 "No Strangers Any More," by Ian Creasey, appeared in the July/August 2016 issue of Analog Science Fiction and Fact, published June 2, 2016, by Penny Publications. Pro: Rose's campaign ultimately succeeds, both on behalf of the aliens and on behalf of the royal family itself. Rose is a very likable character, as is Dorvin. She'll make a nice ambassador. Con: There are a number of loose ends in this story. The emotional tags are mentioned over and over, but then nothing is done with them. And although Rose succeeds at the end, it's not clear that her efforts actually made much difference.